Orders for all Panasonic cameras are non-cancellable. 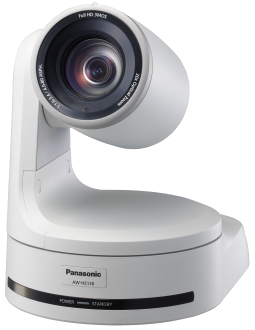 The Panasonic AW-HE130 is compatible with the PCC Premier Camera Controller, the ProductionVIEW Precision Camera Controller, and the ProductionVIEW HD-SDI MV Video Mixer/Switcher/Controller with built-in multi-viewer. 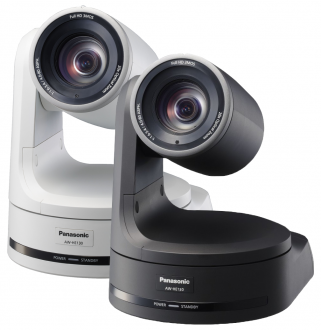 OneLINK Bridge Kit for Panasonic HE-Series Cameras Brings your non-USB camera and non-USB audio components into your USB conferencing environment for traditional videoconferencing quality, without the traditional price tag. 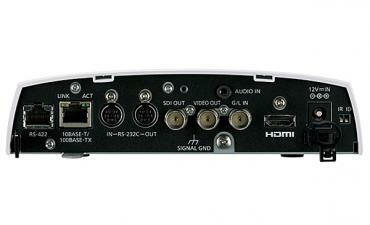 Extends power, video and control to your camera over a single Cat-5e cable up to 328 ft. (100 m). OneLINK HDMI Kit for Panasonic HE-Series Cameras Extends power, video and control to your Panasonic camera over a single Cat-5e cable. 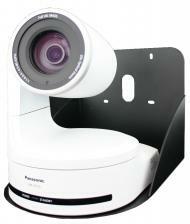 Thin Profile Wall Mount Bracket for Panasonic AW-HE130 Wall mounting bracket for Panasonic AW-HE130 & AW-HE120. 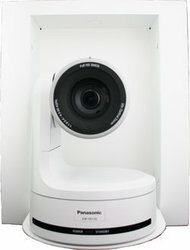 IN-Wall Enclosure for Panasonic AW-HE130 The IN-Wall Enclosure for the Panasonic AW-HE130 & AW-HE120 is designed and sized to fit the entire PTZ camera system including the camera, EZIM and dongle to enable the use of Cat. 5 cabling.